Bhagavad-gita, or Gitopanisad (the essence of the Upanisads), as it is often referred to, is a classic text delineating yogic, or spiritual, discipline. It is found within the epic Mahabharata, and is comprised of a dialogue between Krsna and Arjuna, primary figures of the Mahabharata. The setting for their conversation is on a battlefield just prior to an immense battle, a place where one often finds the weightiest subject matters discussed. Arjuna asks Krsna why there is suffering, not only on the battlefield, but also everywhere in life. Krsna answers Arjuna’s questions, and ultimately Arjuna surrenders to Krsna, and receives instruction from Him. What Krsna describes in the Gita are the principles of Bhakti yoga, i.e., the ABC’s of yogic, or spiritual, life. Included is the explanation of the principles on which the entire world is based, and how one can act within it in a manner that frees one from samsara, or the cycle of birth and death. In a sense, Arjuna is representing us all. True, we’re all not on a military battlefield, but our lives here in the world are a struggle to keep our heads above the water physically, emotionally, intellectually, ethically, and morally. Ultimately, each of us will leave this world, just as an unfortunate soldier will die on the battlefield. How much better if we have lived a life of true knowledge and understanding. The Gita’s teachings give a foundation for a life of purpose and realization, something sorely lacking in the world at this time in history. The knowledge contained in Bhagavad-gita can direct us to realization of the yogic principles, knowing which we can perfect our lives reestablishing our individual and eternal relationship with the Absolute Truth. The American Transcendentalists were readers of the Gita. Ralph Waldo Emerson wrote in his journals of the Gita, I owed a magnificent day to the Bhagavad-gita. It was the first of books; it was as if an empire spake to us, nothing small or unworthy, but large, serene consistent, the voice of an old intelligence which in another age and climate had pondered and thus disposed of the same questions that exercise us. Thoreau took the Gita with him to Walden Pond. Of it, he wrote: The reader is nowhere raised into and sustained in a bigger, purer, or rarer region of thought than in the Bhagavad-gita. At the Bhakti Yoga Club get-togethers we use the Bhagavad-gita to explore the breadth of Bhakti thought, and it is through its study that the subtle precepts of Bhakti can be easily understood. The version we use is Bhagavad-gita As It Is, with translations and explanations by A. 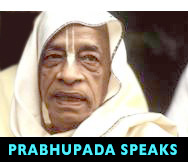 C Bhaktivedanta Swami Prabhupada, the foremost practitioner of Bhakti Yoga in this age. This translation has won the acclaim of scholars and is the most widely used translation in the world, with over 32 million copies in print. The club has enough copies for everyone to use during class.